The hemp plant was already used a few thousand years ago to treat medical issues. Since then, 489 essential components of the hemp plant have been found, determined and extracted. In addition to terpenes, flavonoids and other plant substances, the phytocannabinoids enjoy a particularly high interest. So far, 70 phytocannabinoids have been detected in the hemp plant. The best known of these are tetrahydrocannabinol (THC), cannabidiol (CBD), cannabinol (CBN) and cannabigerol (CBG). Due to its psychoactivity, THC is probably the most popular active substance in the cannabis plant, as it’s mainly responsible for the euphoric high that people experience when they consume marijuana buds. In contrast to THC, the non-psychoactive ingredient cannabidiol binds to different receptor systems. As a result, many experts consider cannabidiol to be an efficient, highly digestible and generally safe component of the hemp plant. CBD is particularly interesting for self-medication, as it can have anti-inflammatory, anti-epileptic and antischizophrenic properties without depressing side effects. The use of cannabidiol is subject to an increasing popularity in the complementary area, due to the positive experience reports. Cannabidiol occurs in higher concentrations in the upper third of the plant, mainly in the buds and upper leaves. After harvesting, the CBD containing parts of the plant are extracted or placed in extracts for oil extraction. Cannabidiol extracts gained through CO2 extraction are said to be of particularly high quality. As a result of the heat-free extraction process, the complete phytochemical spectrum, as well as all phytocannabinoids, except THC, mostly remains. Due to the low THC content, CBD-rich hemp may be legally cultivated in many countries where cannabis is actually illegal. CBD can potentially treat a great variety of symptoms and diseases, both mental and physical. Potential use cases include stress, burnout, sleep disorders, epilepsy, anxiety disorders, schizophrenic psychosis, inflammation and inflammatory pain, nausea and vomiting, migraine, neuropathy, dependence on THC, nicotine, alcohol, hypnotics and opiates, appetite inhibition and antioxidant cell protection. During the past decades, international scientists have conducted dozens of studies and researches on cannabidiol and its potential effects. The following studies have been published on the website of the United States National Library of Medicine, in order to explore all positive and negative effects on the human mind and body in case of various diseases. Study: Effects of CBD on neuropathic and inflammatory pain. Result: The Journal of Experimental Medicine discovered that cannabidiol significantly reduces chronic inflammation and pain in mice and rats. Study: Effects of CBD on neurological disorders and symptoms. Result: CBD has anti-seizure effects and a low risk of side effects for people with epilepsy. Furthermore, it is suggested that cannabidiol may also treat various symptoms linked to epilepsy, such as neurodegeneration, neuronal injury, and psychiatric diseases. Study: Effects of CBD on cancer. Result: The researchers found evidence that cannabidiol has the ability to prevent cancer from spreading, while it also tends to suppress the growth of cancer cells and promote their destruction. In addition, the researchers took note that cannabidiol has low levels of toxicity. Study: Effects of CBD on anxiety disorders. 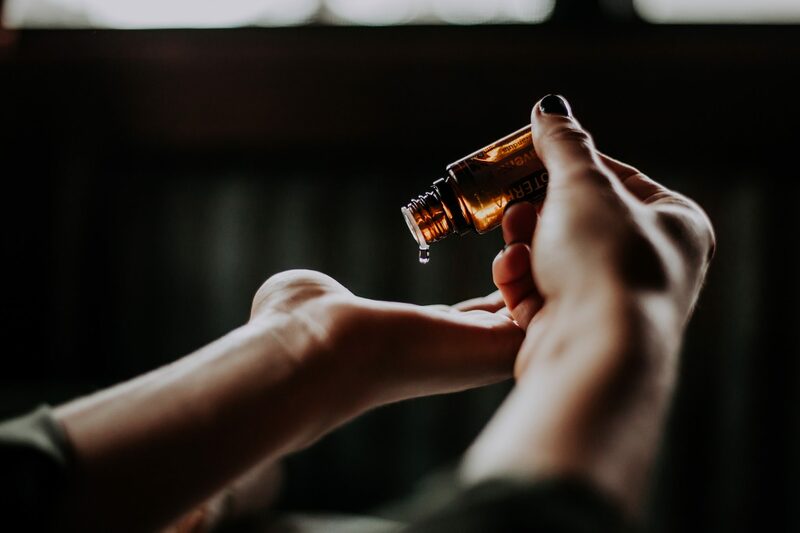 Result: According to the study, CBD has the potential to reduce anxiety-related behaviors in people with conditions such as general anxiety disorder, post-traumatic stress disorder, panic disorder and obsessive-compulsive disorder. There are many other studies that indicate potential use cases of cannabidiol, including the treatment of diabetes type 1, acne and Alzheimer diseases. However, a general consensus was found in the suggestion that more research has to be done in order to create a better image of all the positive and negative effects of CBD on the human body. A daily dose of CBD varies between 150 and 800 mg and is dependent on the symptoms and diseases you want to treat. As a complementary support or to maintain the vitality and improvement of well-being, as well as to reduce the need for medicines, a lower use of cannabidiol is also effective. As the recommended doses are very individual, it is suggested to seek consultation from a certified expert in CBD treatment, that could be a qualified doctor, for example. Treat Sleep Issues with Cannabis. What a great article on CBD! I like how you pointed out both aspects, good and bad.